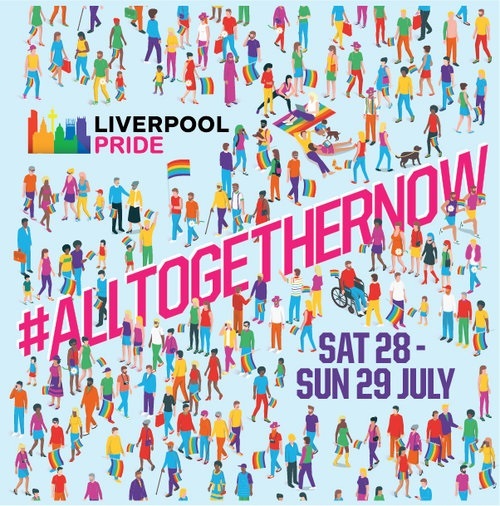 The tagline for Liverpool Pride, 2018, couldn’t have been more fitting as the city came Altogether Now to not only end prejudice against the LGBT+ community, but throughout society as a whole. And what an event the organisers managed to put together. 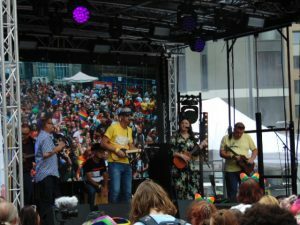 Following the biggest, brightest and most flamboyant of celebratory marches through the city streets, with a handful of a protestors having been dealt with in a quiet and peaceful manner, a crowd of an estimated 20,000 packed into Tithebarn Street. Acts on the Barclays Main Stage kept the party spirit going across more than seven hours and despite rolling, occasionally emptying thunder clouds. There were tribute acts such as Rogue Minogue, Splintered Ukes fired up the audience early doors, Jennifer John showed again what a blessing it is to have her talents in the city and, of course, headliner Sophie Ellis-Bexter was on hand to get the crowd even further into the party spirit – like there was much need for further cajoling by this point – with monster hits such as Murder on the Dancefloor and Groovejet. 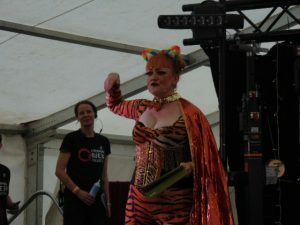 Away from the Main Stage, and organised by Queer Collective, on the Manchester Airport-San Francisco Stage, Diva Hollywood presided in her own inimitable, fast-talking and irreverent way, with RhyssPieces delivering on all fronts with suitable outrageousness, whereas poet Ruthie Adamson, young transgender vocalist Jordan Leyland, performance artist Ashleigh Owen and Ukeleighties kept things ripping along at a frantic pace. 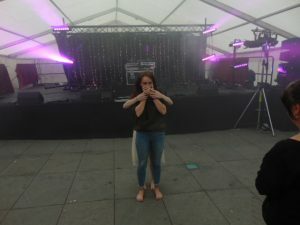 However it was without question the contribution made by Alternative Fashion Fest – and in particular the dance routines to Disturbed’s version of Sound of Silence and the significantly powerful message against bullying in all of its forms – that will linger longest in the memory. The city of Liverpool has been kissed with a rainbow filled brush this weekend, with its message of anti-prejudice being embraced by those both here and from afar; Pride is an important, socially uniting event that should be lauded from the rooftops. However, it is also a chance to let your hair down and feel the love which, in these often sad days, can be something we could all do more of experiencing. Well done Pride! Well done Liverpool!